For five hours last night all the cares of the world didn’t matter. Not the raging anger of Donald Trump, not the election, not the wars and bloodshed in the Middle East, not terrorism, not the economy, not anything… except what transpired on the baseball field in Cleveland. In Game Seven of an epic World Series two teams with a combined 174 years of not winning a World Series battled into the 10th inning as the weather got worse and the rain began to fall. The tension throughout the game was electric, the mood swings as the Cubs took a 5-1 lead and then the Indians scored three runs with two outs in the bottom of the 8th inning to tie the game took one’s breath away. Watching these two teams battle it was if time itself no longer existed, just the game, a game which transfixed the nation as no sporting event has in recent memory. I have to agree, this World Series showed all of us something that no other sport can match in terms of tension, magic, and enchantment. People like to say that NFL football is exciting, but compared to this wonderful game, but the NFL has has degenerated into brutal test of strength, of declining talent, terrible injuries that the owners don’t seem to mind, with the joy taken out of it. Instead last night we saw talented players play their hearts out, pitchers exhausted from overuse, hitters coming up big, and fielders making spectacular plays. The drama was played out as if it were a story out of ancient Greek mythology as immortals battled in front of watching mortals. 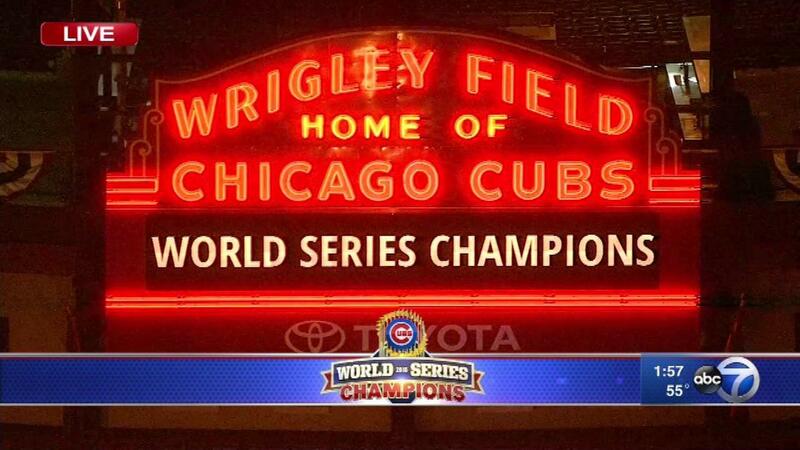 I wished that it could have gone on forever and that both teams could have won, but that is not baseball. A game may go into extra innings, but when it is over, it is over. Unlike politics when the game is over there is no recount: when the final strike is called, there is no court of appeals. 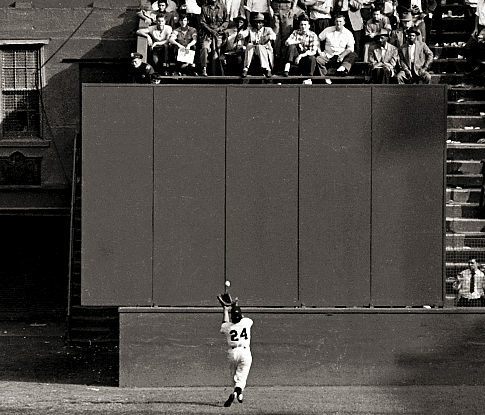 As Bill Veeck said: “Baseball is almost the only orderly thing in a very unorderly world. If you get three strikes, even the best lawyer in the world can’t get you off.” But that being said there is always next year; which brings with it a hope that springs as eternal as the luxuriant green grass on the enchanted diamonds in every corner of the nation; diamonds whose foul lines theoretically extend to infinity, and whose perfection calls us to something better. Those fields await us all if we believe. This World Series, in particular this Game Seven also called us back for just a few hours to a better time, a time of hopes and dreams that have always captivated American, a goodness that dwells within us just waiting to be released again. And it can be again, if we decide to release the cynicism and hatred that has built up over the decades which has been on such display during this election. 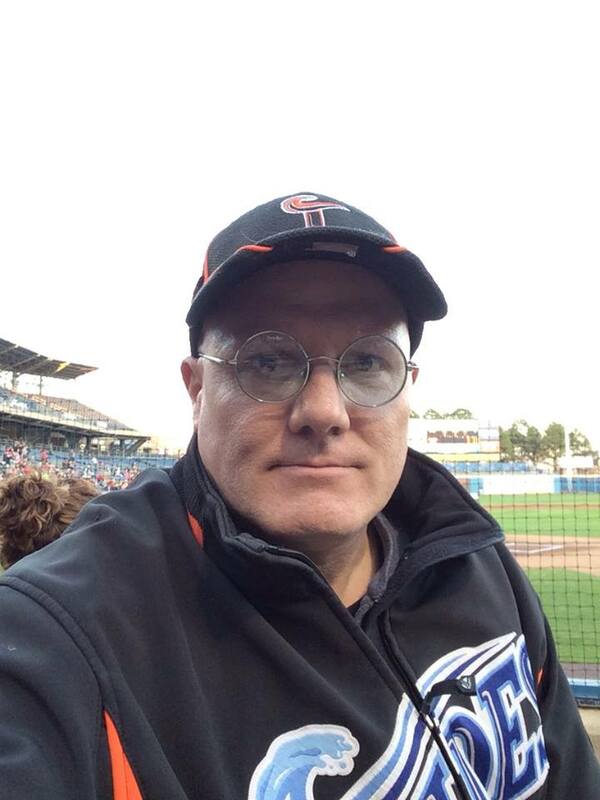 I love all things baseball as my regular readers can tell you. In fact God speaks to me through baseball, even baseball movies when I cannot get to a ball park. 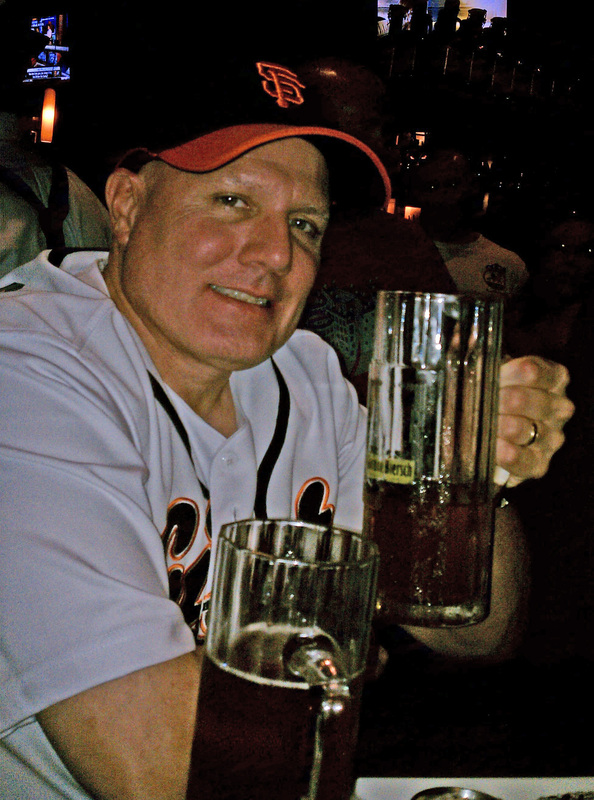 Of course as most readers know I am also a big fan of comedy and when baseball and comedy get together it is like beer and pizza, two great tastes that go great together. Yeah, you were thinking I would say peanut butter cups, what a waste of calories, but I digress. I love baseball movies, comedies for sure but also serious films. Here are my favorite baseball movies in no particular order, although I’m sure that the order I place them has some subconscious meaning or maybe it doesn’t. But whatever, these are some of my favorite baseball movies with a few reasons why I like them. I guess my favorite baseball movie of all time has to be Bull Durham starring Kevin Costner, Susan Sarandon and Tim Robbins. Set in the Single-A Carolina League the film is about a journeyman minor league Catcher named Crash Davis played by Kevin Costner. Davis is a journeyman but was playing in Triple A at the beginning of the season and is sent down to Durham to help a top prospect pitcher named Ebby Calvin LaLoosh get ready for the major leagues. In the process Davis meets Annie Savoy (Susan Sarandon) a part time junior college English instructor and baseball guru that hooks up with a player on the team for 142 games. The movie is a great sports and life movie as it deals with transitions. For Davis it is the transition from active ball player to life and love after baseball, for LaLoosh who goes from minor league prospect to the majors and Annie Savoy who falls for a man for more than a season. 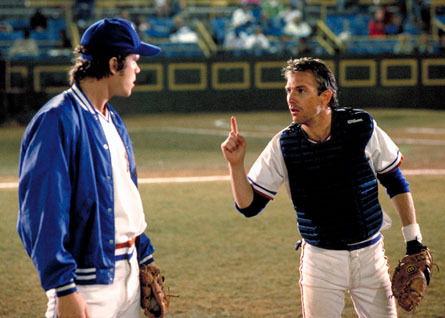 For the past ten years or so I have identified with Crash Davis, the journeyman who ends up mentoring young players. 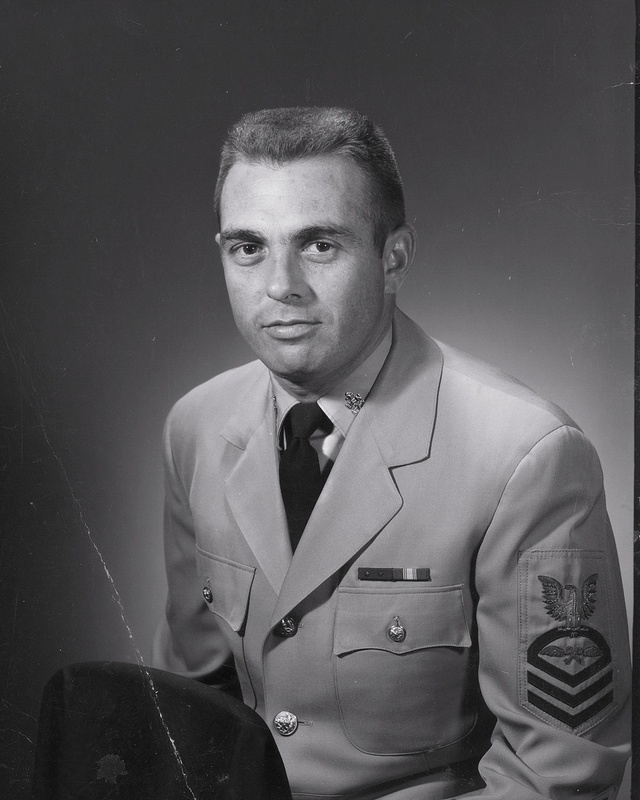 In fact I recommend this movie to young chaplains that seek out my counsel simply because many are wild like “Nuke” LaLoosh and simply need a blunt and honest veteran at the end of his career to bring them along. One of my favorite scenes in this movie is when Crash gets throw out of a game. 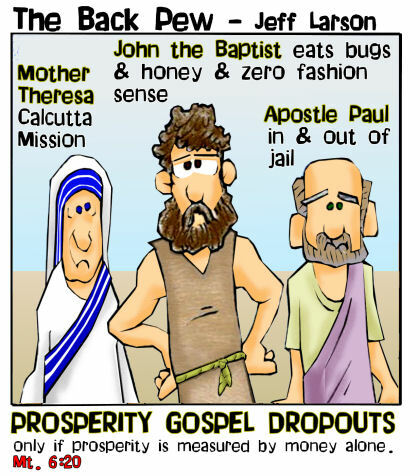 It reminds me of when I got thrown out of the Army Chaplain Officer Advanced Course in October 1992. But also I have spent a lot of evenings watching games in the quaint ballparks of the Carolina League. The movie shows the closeness of these teams, players, fans and communities that is had to match elsewhere. So when I watch this movie it takes me back to good times that I had in places like Kinston, North Carolina with friends and people I will never forget. The film Major League is another of my favorites. Set in Cleveland in the late 1980s the film as about a perpetually losing team with a new owner who wants to move the historic franchise from Cleveland to Miami. Her instruction to the team’s General Manager is to lose enough games to ensure that so few fans will come that she can legally move the team. This is a team of misfits is put together from veterans who have seen their best times, overpaid free agents that don’t perform and unknown rookies. 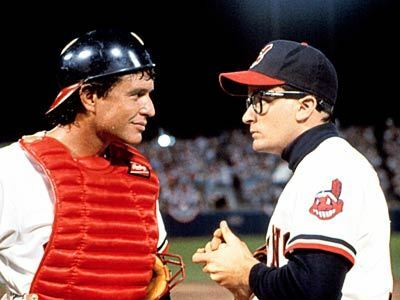 Like Bull Durham there is the veteran but somewhat washed up catcher, this time Jake Taylor played by Tom Berenger who is the glue that holds the team together. 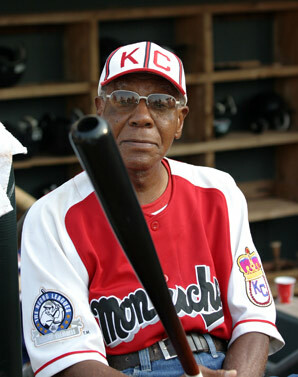 The team includes a Cuban defector who can’t hit a curve ball named Pedro Cerrano played by Dennis Haysbert, an underperforming veteran Third Baseman named Roger Dorn, played by Corbin Bernsen and two rookies; outfielder Willie Mays Hays played by Wesley Snipes and pitcher Ricky Vaughn played by Charlie Sheen. During the season the team has everything taken from them by owner Rachel Phelps played by Margaret Whitton as they embark on a journey from cellar dwellers to American League East Champions. Once again I relate to the veteran catcher but I also have an affinity for the rebellious rookie Ricky “Wild Thing” Vaughn. 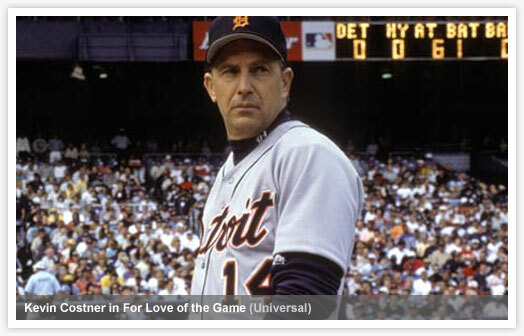 For Love of the Game is a movie about life. The film is based on the Michael Shaara novel The Perfect Game. This is a film about a pitcher named Billy Chapel played by Kevin Costner who is facing the end of his career. Chapel has been with the team 19 years and has seen good times and bad, pitched in the World Series and suffered a grievous injury to his pitching hand in the off season. He is a man who has struggled with love yet forged lasting friendships with teammates, even those now on other teams. The movie is set at Yankee Stadium with Chapel pitching in a meaningless game for the cellar dweller Tigers against the playoff bound New York Yankees. The game revolves around Chapel and his relationships with his catcher, Gus Sinski (John C. Reilly), his lover Jane Aubrey (Kelly Preston), her daughter Heather (Gina Malone), former teammate and current Yankee Davis Birch and the team owner Gary Wheeler (Brian Cox) who is in the process of selling the team. The new owners are looking to deal Chapel to another team, likely the San Francisco Giants when the season is over and Chapel has to decide if he is going to be traded or retire. The team which had nothing to play for finds its heart and soul backing up their pitcher making great plays and getting the all critical hits. 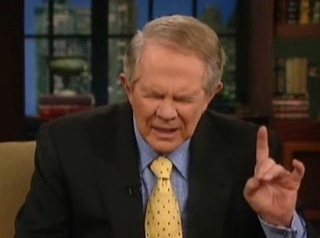 I relate to Billy Chapel a lot because of my long career with all of its ups and downs. 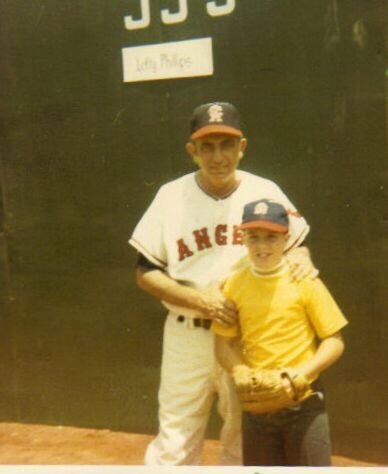 The game is a microcosm of life and tells a story through baseball that runs deeper than the game itself. It is about life, family, friendship, love, commitment, good times and bad. I cannot watch this movie without being moved to tears. 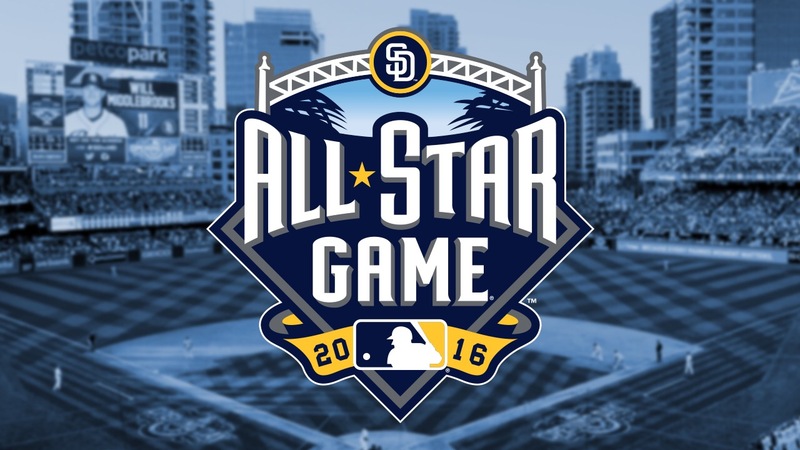 Of course having Vin Scully call the game as if it were a real game makes it all the better. Iris Gaines: You know, I believe we have two lives. The Natural was adapted from the 1952 novel by the same name by Bernard Malamud. In the film Robert Redford plays Roy Hobbs a hot prospect that is badly wounded by a female admirer who shoots him. After years away from the game he returns to the game as an old rookie. The novel is a tragedy while the movie was changed to make Hobbs triumph over adversity. Hobbs has to battle his past, the press and his age and the ever present affects of his injury as he plays a game that he loves all the while kindling a relationship with Iris Gaines played by Glenn Close. After a remarkable season Hobbs is sidelined by after effects of the shooting and the press publicizing his chequered past. Hobbs leaves his sick-bed to play in the game that will decide the pennant. He comes to bat with 2 on and 2 out in the bottom of the 9th inning bleeding from his side due to the injury. Hobbs crushes a pitch that goes just foul and breaks his bat which had been carved from the wood of a tree struck by lightning. He asks his batboy for a bat saying “Pick me out a winner Bobby” and goes back to the batter’s box. 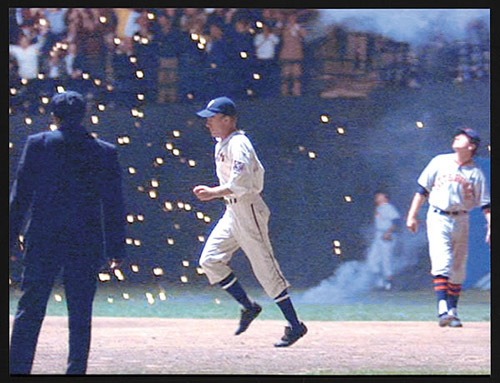 As the catcher attempts to exploit Hobbs injury call for an inside fastball which Hobbs takes yard into the lights causing them to explode as he rounds the bases as the Knights win the pennant. The book ends differently and is kind of depressing. I like the film better. The last film that I will discuss in this post is Field of Dreams. 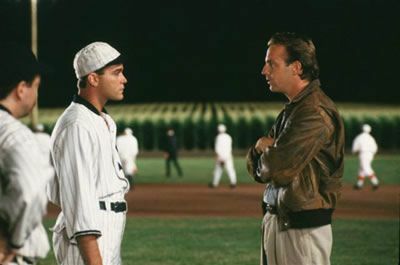 This is one of the three films that I call the Kevin Costner Baseball trilogy and like For the Love of the Game was adapted from a novel, in this case Shoeless Joe by W. P. Kinsella. The film is a baseball fantasy about a novice farmer named Ray Kinsella (Costner) the son of a baseball player who during the 1960s walks away from his father and baseball. While in his fields he hears a voice saying “If you build it, he will come.” He has a vision of a baseball field and plows under some of his crops to construct a field. Nothing happens at first but the next summer “Shoeless Joe Jackson” (Ray Liotta) shows up and after meeting Ray brings with him the seven other players from the 1919 Chicago White Sox implicated in the “Black Sox” scandal and banned from baseball. The film is shows a search for redemption as Kinsella who tries to make sense of the voice and the ball players. Eventually goes to Boston to find 1960s author and activist Terrance Mann (based on J. D. Salinger) played by James Earl Jones after he hears the voice say “ease his pain.” He meets with the reclusive and somewhat unfriendly Mann and it does not go well. Ray Kinsella: [being rushed out of Mann’s loft] You’ve changed – you know that? Terence Mann: Yes – I suppose I have! How about this: “Peace, love, dope”? Now get the hell out of here! He finally gets Mann to go with him to a Red Sox game but even that does not go well. Ray thinks that he has wasted his time when Mann stops him and the pair drives to Chisholm Minnesota to find a former ballplayer named Archibald “Moonlight Graham.” They discover Graham, the beloved town doctor died 16 years before. As Kinsella walks the street he finds himself transported back in time and meets the old Doctor Graham. He cannot get Graham to come with them but on the road back home he and Mann pick up a young hitch hiker looking to play baseball, named Archie Graham. They arrive back home and while the players who have grown in number they find that his farm is being foreclosed on be foreclosed on by a group of businessmen and bankers headed up by his brother in law. During the argument between Ray and his brother in law the daughter fall off the small set of bleachers and appears to be severely injured. Young Archie Graham walks off the field, becomes old doctor Graham and saves the girl’s life. The brother in law is transformed by what happened and sees the ballplayers for the first time. 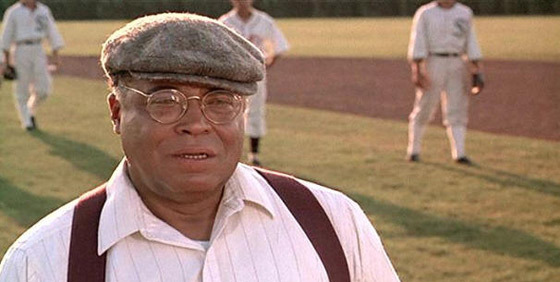 He stops the action against his Ray who after thinking Ray was crazy finally sees the magic of this diamond as Archie Graham becomes the elderly Doctor Moonlight Graham and saves the Kinsella’s daughter’s life after she fell from the bleachers. Mann gets to go with Shoeless Joe and the others into the mystical cornfield and a young ballplayer, Ray’s father John Kinsella is introduced. Ray recognizes him introduces him to his family without identifying him as his father or admitting that he is his son. The classic exchange between the two explains the essence of the film. The two end up “having a catch” as the lights of cars wind across the Iowa farmlands heading to this little ball field. The movie has a special place in my heart because of the father-son relationship. 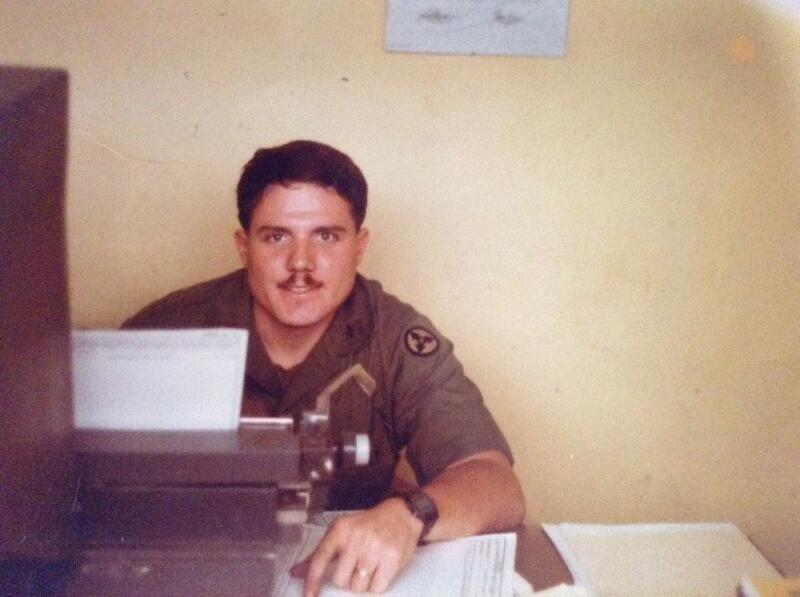 When my dad returned from Vietnam I had emotionally moved away from him and baseball. I kept an interest in the game but for a number of years it was not a passion. 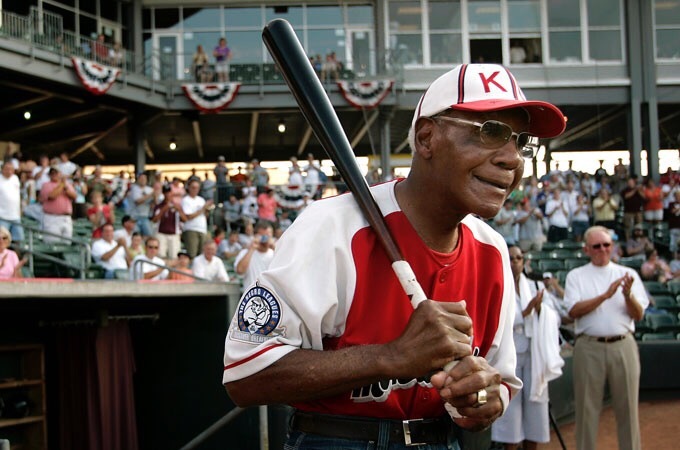 The exchange between Ray Kinsella and Terrance Mann still gets me, now later in life my dad and I reconnected as father and son and I came back to baseball. Ray Kinsella: That’s when I read “The Boat Rocker” by Terence Mann. Terence Mann: You see? That’s the sort of crap people are always trying to lay on me. It’s not my fault you wouldn’t play catch with your father. In 2004 while going to a reunion of my Continental Singers tour in Kansas City Judy and I made a few stops watching minor league games in Louisville and Cedar Rapids before making a trip to Dyersville Iowa. Dyersville is the place where the Field of Dreams was filmed and where the you can still play ball on that magical diamond. Judy indulged me by playing catch with me on that diamond. It is true that if you build it he will come…I did. I could go on about other baseball movies as there are many more but these above the others are the ones that I find a special connection with. I think I may write about some of the philosophy and faith that I draw from these films over the coming season.